I’ve got a great excuse for you to visit your local coffee shop and indulge in your favorite coffee or cappuccino! 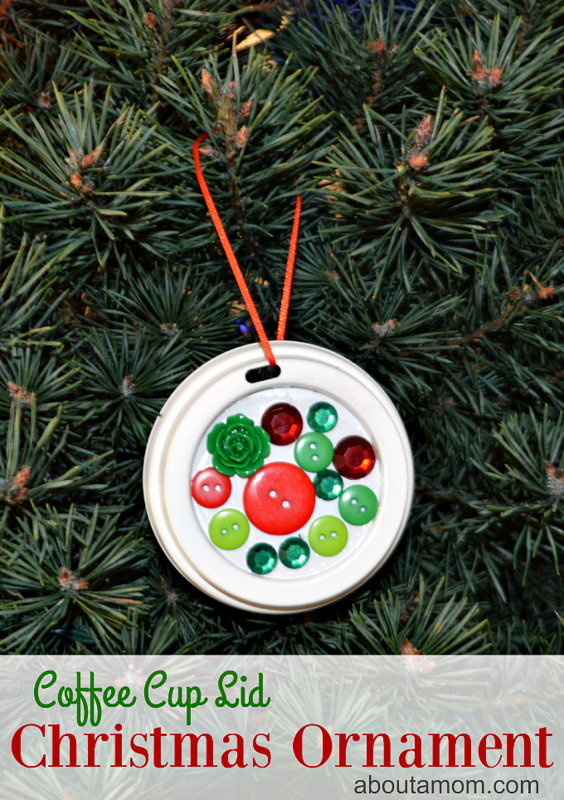 Your kids can upcycle the coffee cup lid into a festive Christmas ornament! I don’t buy cappuccinos very often, but I like to splurge from time to time. My favorite is Caramel Macchiato. I recently indulged in one and was inspired by the lid. My kids love to craft and to keep costs down, I am always thinking outside the box in terms of crafting materials. I knew the lid would be perfect for an ornament. It already has a hole for a hook. Problem was, I had one lid and three kids. I told my husband that I would need to buy two more cappuccinos. He suggested I buy one more and ask for an extra lid. They did even better than that, they gave me a small stack (lots of coffee cup lid crafts in our future). 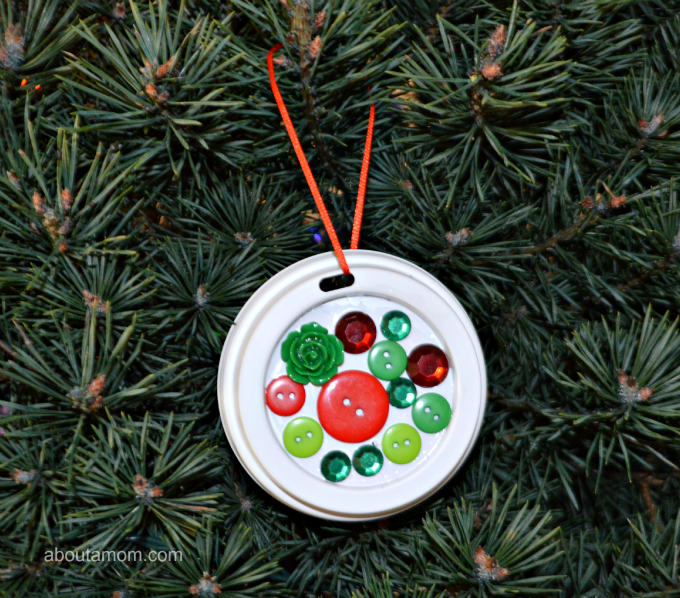 I had some festive buttons and jewels leftover from a previous year and I decided to use those and create a festive ornament from one of coffee cup lids. Apply glue to the top of the lid. Add button and jewels to the lid. Be as creative as you want. There is no right way to organize the buttons and jewels on the lid. Pull a ribbon through the hole (where you drink your coffee) and tie at the top to form a loop. That’s all there is too it! A really simple and inexpensive ornament the kids can make for Christmas and a great excuse for you to visit the local coffee shop! This is quite an idea to make as a craft this year for the holidays. I would have never thought of this.